This is the story of Petunia Elkwood and Todd Allison. They keep on meeting on accident, and even move in next to each other as an accident. There are too many convenient accidents in this story line from Nozmo showing a wry sense of humor about those things that happen in our lives that might not be an accident. See Petunia Elkwood moved to Melbourne to become a new person, and even though she had made one friend, Todd just keeps on showing up. The funny part is that he not only shows up all the time, he keeps on shocking Petunia along the way. He sends her on missions to deliver letters, or otherwise, and she does it. There is a power and control process going on here, but as readers, we are unsure how it will work out. At moments, Todd really seems like a creepy kind of guy stalking Petunia, but then is that really what is happening here? Does she have an issue with it? Or is she simply questioning the process that is happening here without really trying to solve the problem. Is Todd even a problem in this story line? There are some interesting mystery bits to the story line as Todd’s character is developed. It would be major spoilers to let you know about them here, you can go read this online right here at this link. 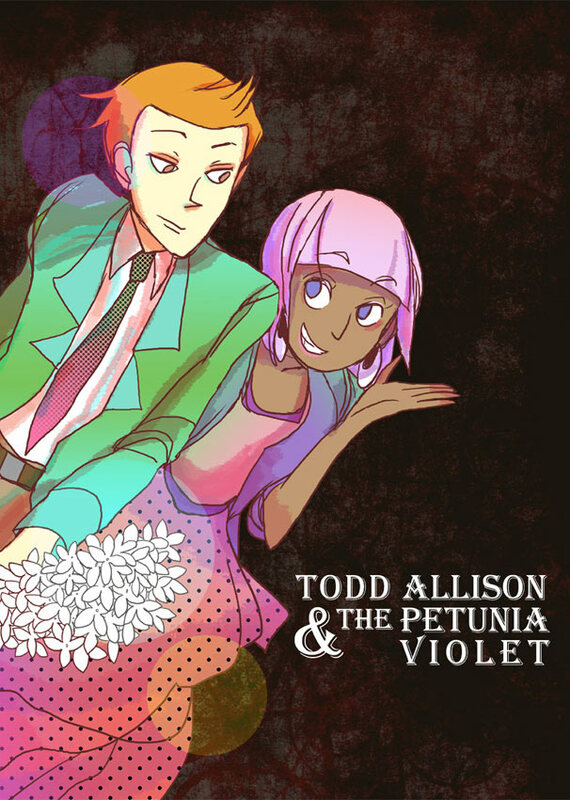 Todd ends up being very interesting as a character, with Petunia trying to figure out what Todd is up to, and what Todd is all about. You have elements of mystery, mayhem, and some very good plotting of the main story line. It is an interesting story to read, and Nozmo’s style while somewhat primitive on the drawing side is well suited to the tone and feel of the story line. This is where the art matches the flavor of the story line, and that is generally not found in many manga stories. Yes, the drawing is just a little bit primitive, but one thing that sets this apart from many manga books is that it is in color rather than black and white. There are also mixed media panels at the beginning of each story that you take time with to read and get to know better. The mixed media panels are a wonderful bonus in the story that harkens to the more gritty independent feel of the story. The dialog is good, legible, and well done in relationship to the art. Overall this is a well worth reading manga, you can read it online for free by clicking right here. I am rating this five of five stars, well worth reading, and then seeing if there is a possibility of a print copy somewhere down the road.